I started using Out of Milk a couple of months ago. 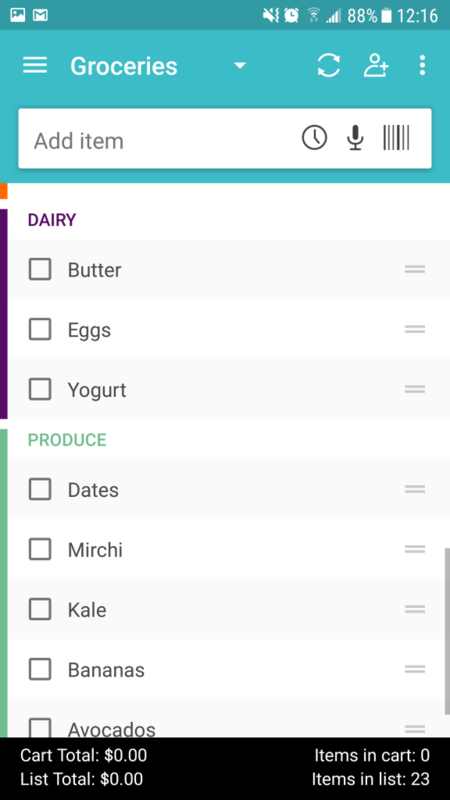 I needed a better app to manage my shopping lists. Read here. Here are a few of the things I enjoy about the app so far. It’s easy to use at a basic level. I can maintain a list of staple food items so I don’t have to rewrite them on the list each time. Once on a list, items are assigned a category (e.g. Meat, Dairy, Produce), all of which can be customized and color coded. Within each list, the order of items can be rearranged. The assigned categories (e.g. Produce, Herbs & Spices, Baking & Cooking, Meats, Dairy) closely mimic where you would find something in a grocery store. Typically the app will assign a default category to any new items added. It’s usually pretty accurate. Or I can adjust the category to suit my needs. For example, I created a category called “Breakfast” for my morning staples, even though each item can “fit” somewhere else. 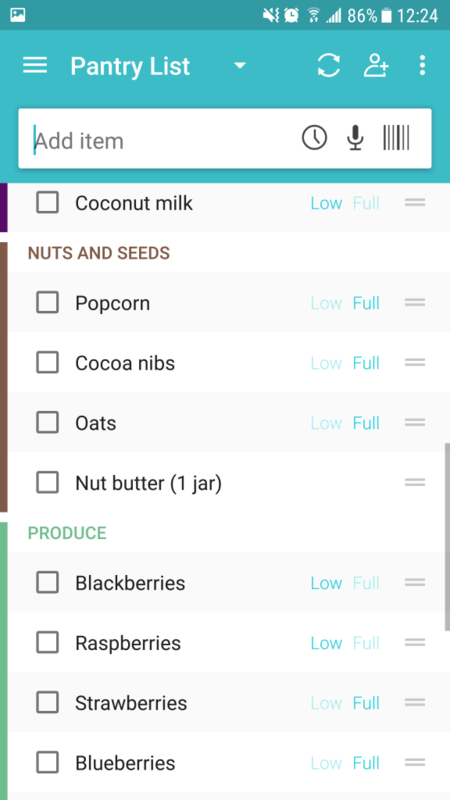 The app is useful for numerous functions, but I only use it to manage my weekly shopping list, “Groceries” and my pantry list. The pantry list is used to track items used routinely in the kitchen. Once on the pantry list, the quantity can be monitored either by indicating if something is low/full or using a number and unit measurement instead (e.g. 1 jar, 1 bottle, 1 carton, etc.). If I select an item from the pantry list, I can then choose which list to put it on. My big frustration with this feature is that the app allows me to add the same pantry item multiple times to the same grocery list. It should be able to detect duplicates (or even triplicates!). I use the grocery list when I shop. Finding things is easy in their categories. Once placed in the shopping cart, checked items disappear from the list and go in my “virtual” cart (bottom of the list). There are other features I could be using, such as scanning bar codes and price tracking, but this is overkill for my purposes. 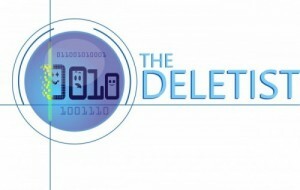 When I finish shopping, I can either “delete” the grocery items or “uncheck all” to repopulate next week’s list. Pantry items deleted from the grocery list remain on the pantry list for reuse. Another feature is that the list can be shared with other people. Overall I’m satisfied with the app. I use remember the milk. It’s not just for shopping and it’s pretty cool. Look at it. It’s a great tool helping to stay more organized by keeping track of all your essentials at home. You can track your groceries, drugs, self-care essentials, pets food, cleaning essentials and many other things. The app also can notify you when something is finishing or expiring, so that you can plan ahead. Moreover, it makes you not forget to update your stuff in the app every time you take/add something from/to your pantry. Thanks for the recommendation. I’ll definitely look into PikyPak and see if it’s a good fit for my needs.